Change things up with a short trip to Hoover Dam in Boulder City (about 42 minutes away). 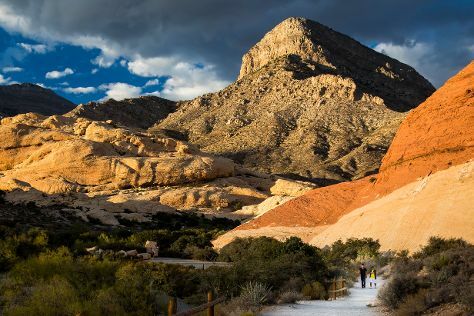 There's much more to do: explore the stunning scenery at Red Rock Canyon National Conservation Area, shop like a local with The Strip, take in panoramic vistas at Eiffel Tower Experience at Paris Las Vegas, and get the adrenaline pumping with an extreme tour. For other places to visit, maps, photos, and more tourist information, refer to the Las Vegas travel itinerary planner. If you are flying in from Spain, the closest major airports are McCarran International Airport and Laughlin Bullhead International Airport. November in Las Vegas sees daily highs of 23°C and lows of 9°C at night. Wrap up your sightseeing on the 24th (Fri) to allow time to travel back home.